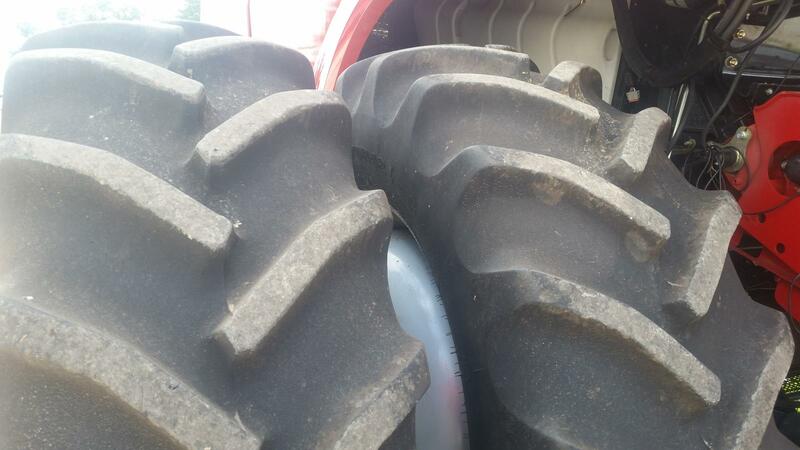 2012 Case IH 8230 for sale in West Liberty, IA. H.D. 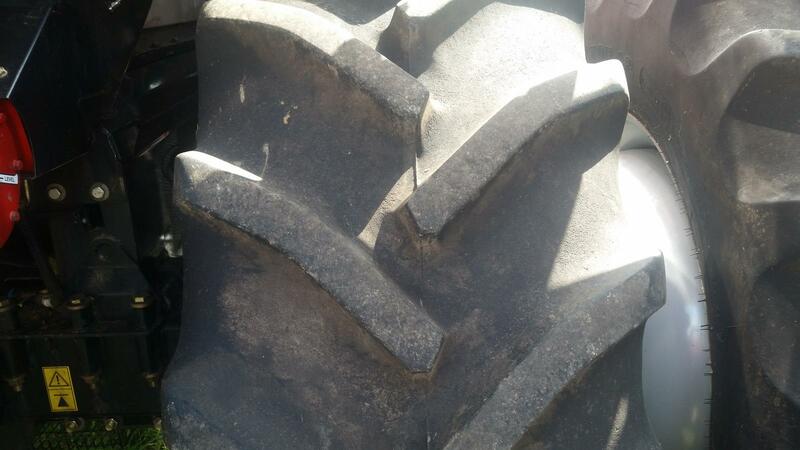 Cline Co.
2012 1699E/1145S Hours, Hyd. 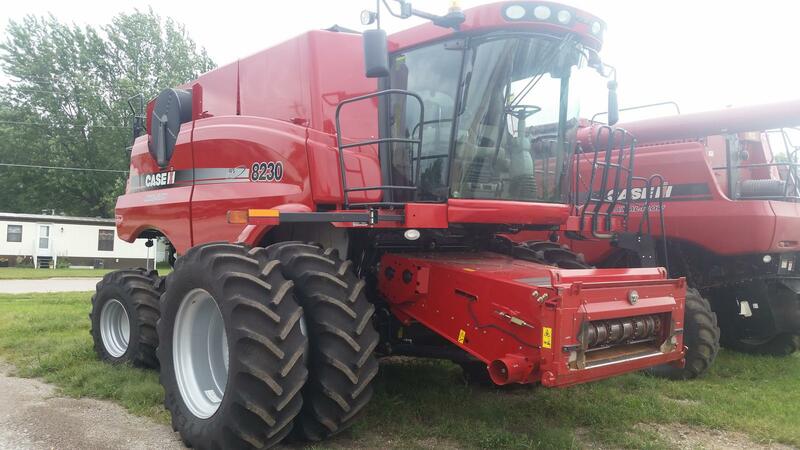 grain tank covers, extended wear elevator, Duals, Yield Monitor, Guidance Ready. Case IH Axial-Flow® combines lead the industry with carefully matched systems that ensure productivity. With the fewest drive components, Axial-Flow combines are engineered for simplicity and reliability. 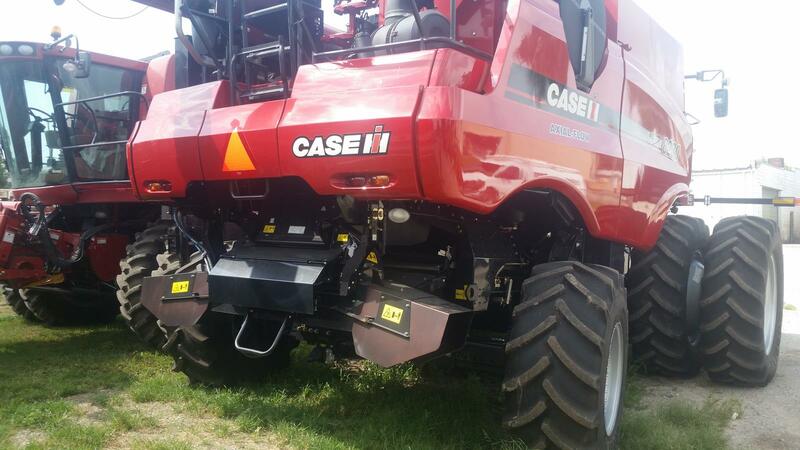 And, for the 35th season, Case IH comes out in front with the new 30 Series Axial-Flow combines. COMPLIANCE WITHOUT COMPROMISE: CONSERVING YOUR RESOURCES ONE GALLON AT A TIME. EPA emissions compliance shouldn't have to mean sacrificing engine performance or efficiency. Because they match proven Case IH FPT engines with top-performing SCR technology, the new Axial-Flow combines deliver exceptional fuel and fluid economy along with responsive horsepower and enhanced productivity. Case IH Selective Catalytic Reduction (SCR) technology functions outside the main engine, treating the exhaust post-combustion. So unlike power-robbing EGR solutions, Case IH engines are tuned for peak performance and fluid efficiency. 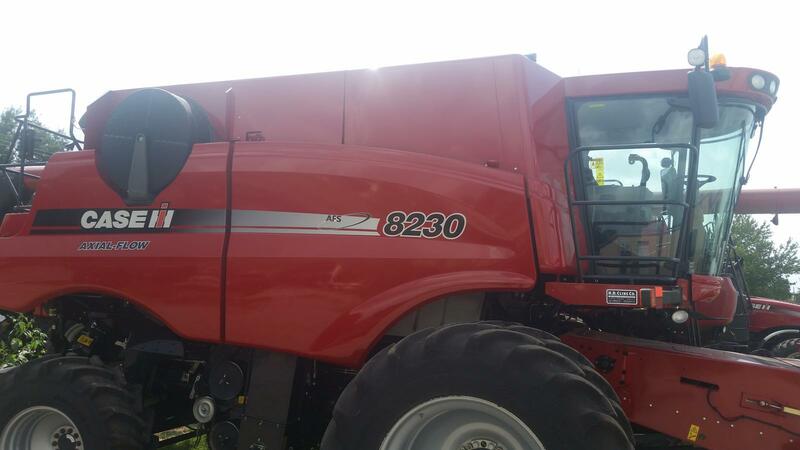 You get an engine that runs cool and responds fast in the field to the quickly changing demands of a tough harvest. 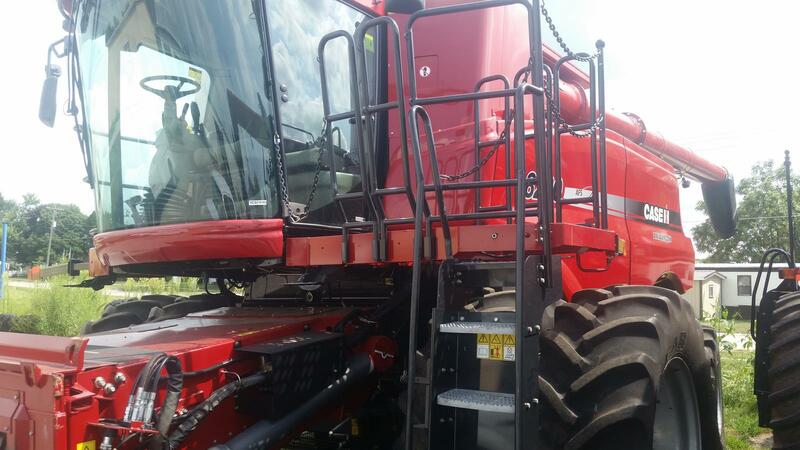 Six all-new Axial-Flow models offer 10 percent average improvements in fuel economy and full Tier 4A compliance, as well as extended service intervals and minimal daily maintenance. That's compliance without compromise. GAIN CONTROL OF YOUR HARVEST. 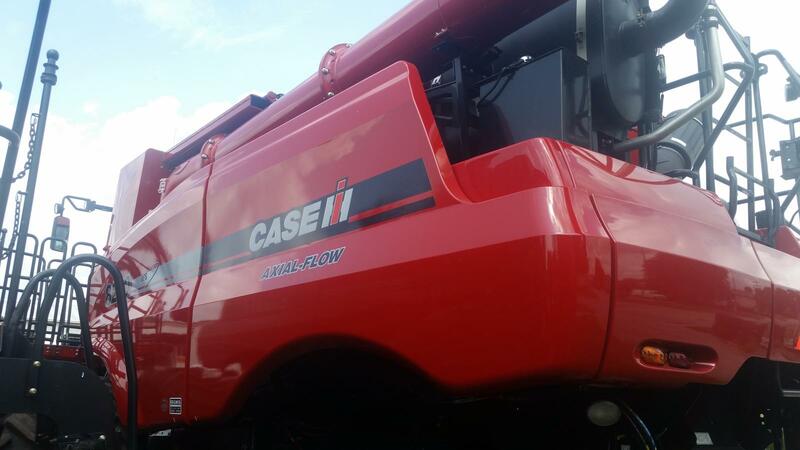 The Case IH Axial-Flow system has established its leadership position, meeting producer capacity and adaptability expectations as well as delivering more, higher quality grain. The Case IH AFX rotor with its concentric rotor cage design creates smooth crop flow, improving throughput and putting more high quality grain in the tank. Now the all-new Axial-Flow models feature added horsepower with fuel efficient, Case IH FPT Tier 4 SCR engines, the same proven powerplants that give Magnum and Steiger tractors a 10 percent fluid efficiency advantage over competitive Tier 3 models. The simple and reliable Axial-Flow design, with fewer moving parts, has made the most of short harvest windows - day after day - season after season for 35 years. 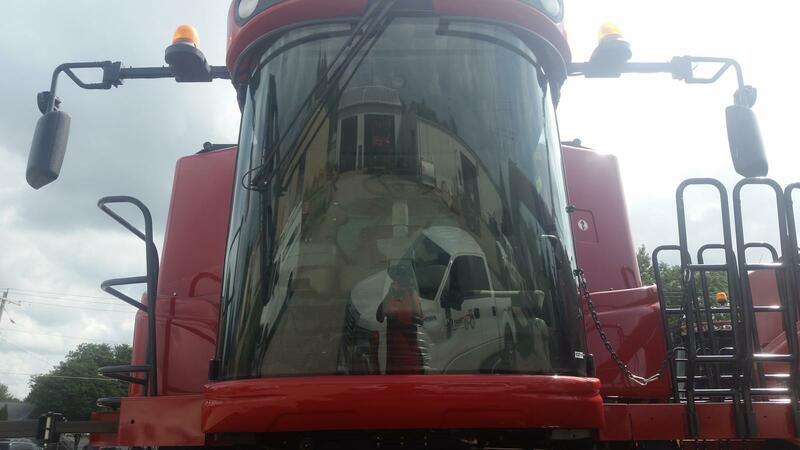 Operators will appreciate the time they can save with optional powered grain tank covers, controlled from the cab. 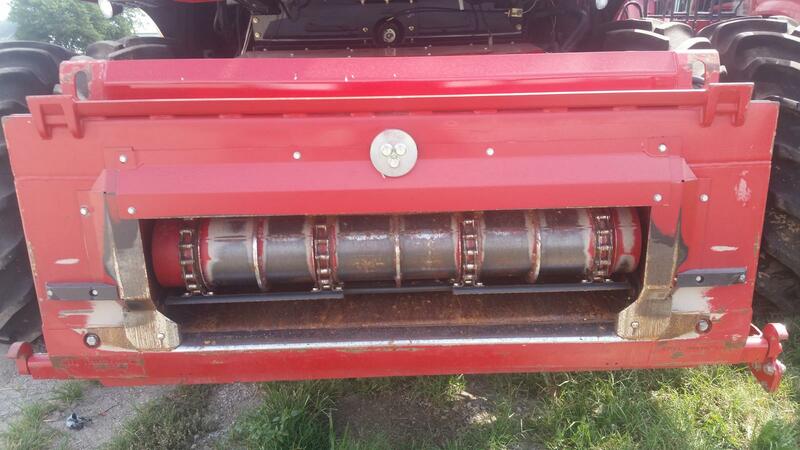 The grain tank extensions can also be powered on the 7230, 8230 and 9230. In addition, Power Plus CVT drives on those models provide more power, less downtime and unique in-field capabilities like patented header to groundspeed synching, ensuring smooth material flow from header to spreader. At the end of the day, you'll be less fatigued because you can operate at full capacity without worrying about adjustments or pushing the machine beyond its limits. 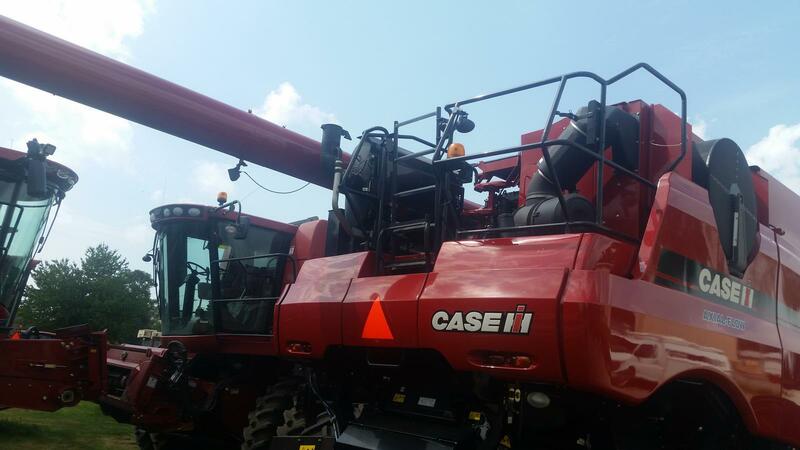 Offering the largest and quietest cab available on the market today, Case IH understands that the combine cab is really your office in the field. You can easily make adjustments without having to take your eyes off the field. The Case IH Multi- Function handle controls many vital functions with the operator's arm in a comfortable resting position. Similar functions are grouped together, and multiple settings for different crops and conditions are easily saved for future use. You can keep your eyes on the field rather than searching for knobs or buttons. In addition, all models incorporate the state-of-the-art AFS Pro 700 display for yield monitoring, machine and guidance control. 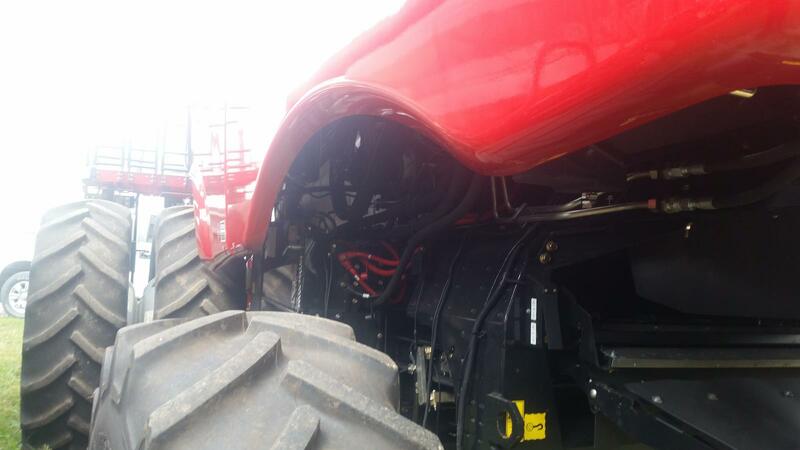 The AFS Pro 700 is compatible with all Case IH equipment, so it can easily be transferred to your tractor cab in the spring for planter control or later to your sprayer to control your application maps. Case IH Axial-Flow customer driven product designs are simple to set and adjust, intuitive to operate and deliver optimum performance. The grain pan, pre-sieve, upper & lower sieves, and cleaning fan on the 7230, 8230 and 9230 all self-level for maximum grain savings and efficiency. Electronic adjustable sieves are also standard on all models, allowing you to adjust the sieves from the cab with ease. With their upgraded, more robust unloading systems, the new Axial-Flow 30 Series combines can reduce unload times by as much as 40 percent. In addition, the new independent cross auger control gives operators more flexibility during the challenging grain cart fill process. To ensure a comfortable distance can be maintained between the header and grain cart while unloading on the go, three unload auger lengths are available: 23 ft. 6 in. for 30 ft. and smaller headers, 28 ft. 9 in. for 35-40 ft. headers and an optional 30 ft. 5 in. kit, designed for larger 45 ft. heads.